Snooker, the gentlemans game of billiards, has been a British tradition dating back to the late 19th century. The term ‘snooker’ itself comes from an incident dating back to the 1870′s, where a British army officer referred to one of his own men as having failed to pocket a particular ball as a snooker. The game took the coloured balls used in Pool and then used them for a brand new game, with the balls given specific spots on the table. The game itself did not receive formal recognition of its existence until 1900, when the Billiards Association finally added its rules to the listings. This represents the birth of the modern game. Popularity of the sport grew during the 1970′s. coinciding with the advent of colour television. 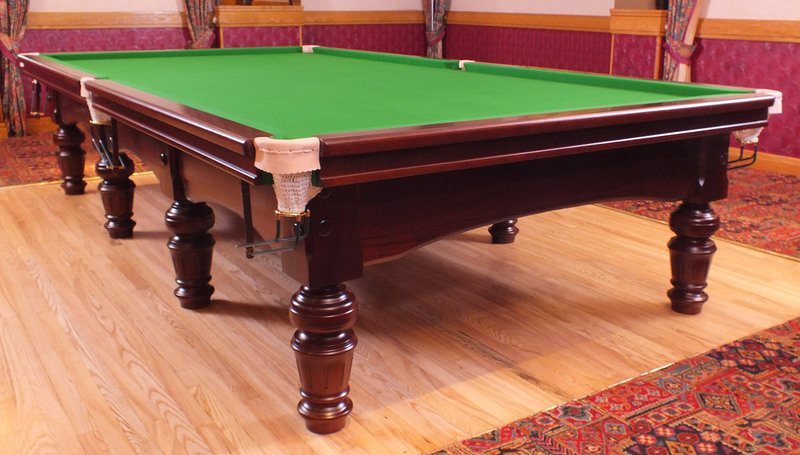 We offer a full range of hand crafted tables, available to suit your particular needs.